nikhil mathur, 10 Oct 2010hello frnds its an awesome set i buyed it for Rs 3950 from where did u get it at this price? i am using this phone since one week and i am really satisfied. very nice phone. 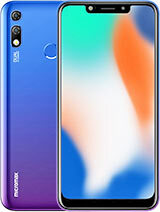 The Default Opera which comes with the phone is not user friendly, and this phone does not allow user to upgrade the browser from opera web site. There is work around to do that by downloading the jar/jad from opera site to your external memory card and then install. But I found that youtube is not working. I am using Wi-Fi but once i select the song from youtube it says 'Can not buffer video' and stops. Debasish, 09 Oct 2010hello guys can anyone tell me micromax x510 is having any problems or not coz i am going 2 buy... moreI bought this phone a week ago n i m quiet disappointed with it. I suggest don't buy. I got this phone for 4500. Very good phone at this rate. sound and picture clarity is excellent. Ear side speaker is bit weak. I bought this model for 4000 INR (incl tax). The picture and sound quality is exceptional. So is the look of the handset. However i am a little disappointed with the sensitivity of screen. It does not match with that of nokia or samsung, but still can do with whatever is offered. All in all i found this phone value for money. Good for ppl who likes to listen music and want to try out touch screen feature in cheaper price. 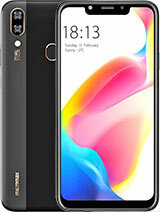 hi can any one tell is it worth to buy this phone or not??????? how is the battery back up ???? Very non-responsive touschscreen. It is hard to operate with such an irritating touchscreen. The durability is doubted. Service centre is an illision. HI... can some one help me out with my problem. My touch screen doesn't working. So Can somebody pls tell me how could i do this...??????? Anonymous, 20 Sep 2010HI... can some one help me out with my problem. I have stored all my music in the memory of th... moreIf anybody is facing same problem, Please create a new folder in the memory card and name it My Music and then add all songs into this folder . After that start your audio player and it will add all songs in the play list automatically. HI... can some one help me out with my problem. 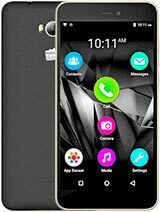 I have stored all my music in the memory of this phone.I am not able to add the songs from the memory card to the audioplayer.Its not evn mentioned in the manual also. So Can somebody pls tell me how could i do this...??????? 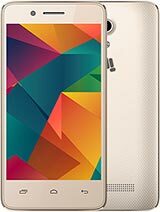 hey guy'z i hv bought this mobile n this iz awesmm..!! type of mobile with outstanding specification. Shan, 06 Sep 2010Whether it is dual sim phone ? yes this is a dual sim mobile. 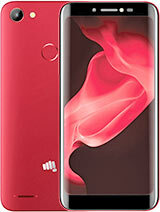 Total of 406 user reviews and opinions for Micromax X510 Pike.